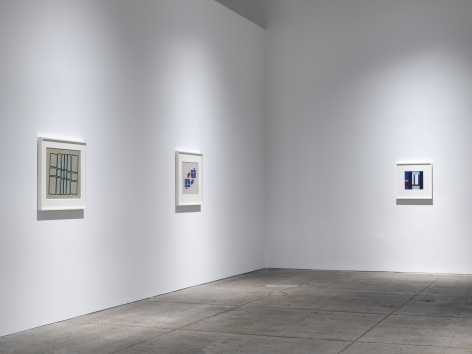 Galerie Lelong & Co. is pleased to present Hélio Oiticica: Spatial Relief and Drawings, 1955–59, a solo exhibition of the artist’s early gouache drawings and an example of his signature Relevo Espacial (Spatial Relief). 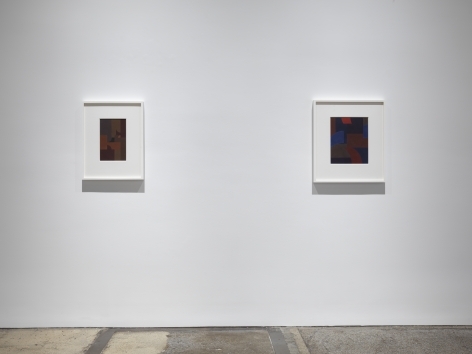 On view will be two series by Oiticica—Grupo Frente and Metaesquemas—from the 1950s that would anticipate Oiticica’s later Relevo Espacial and investigations of three-dimensional space. Oiticica was part of the Rio de Janeiro-based Grupo Frente, an artist collective led by Ivan Serpa from 1954–56. 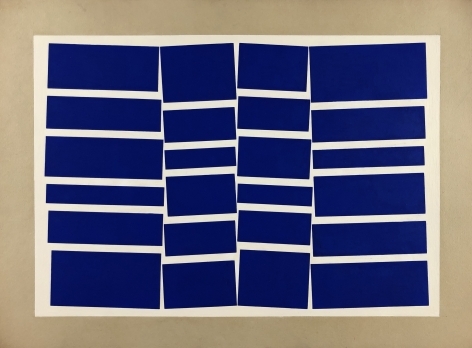 Members such as Oiticica, Lygia Clark, and Lygia Pape approached art through a rigorous commitment to experimentation and a rejection of traditional expressive means. 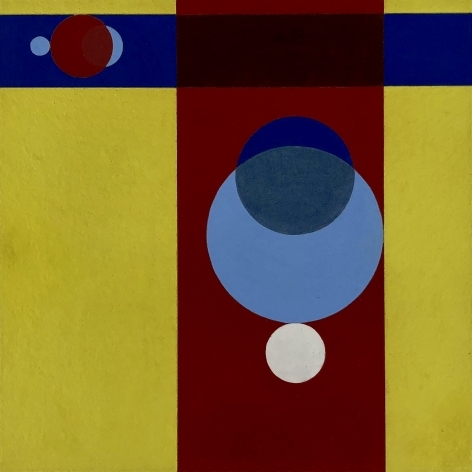 During this time, Oiticica created a series of Grupo Frente works (1954–56) that reveal an early intuitive understanding of color and sensitivity to rhythm. 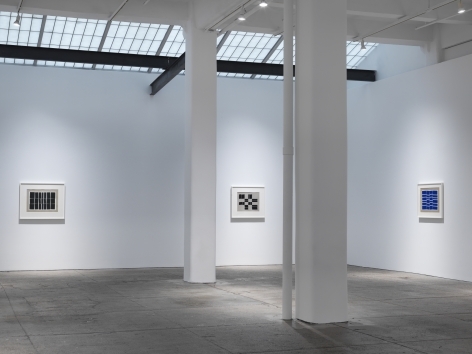 In works such as Untitled (1955), surfaces seemingly vibrate with monochrome planes that induce a spatial world. After Grupo Frente disbanded, Oiticica continued to create innovations in color, line, and form. 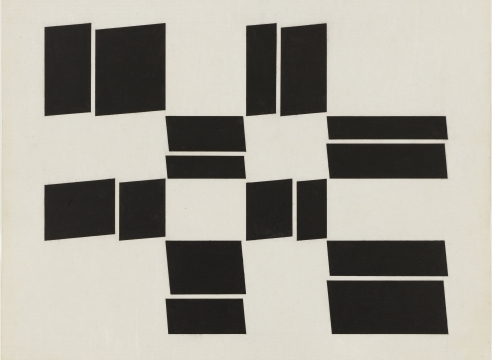 He began to disrupt the density and structure of his early works in a series of gouaches on board, Metaesquemas (1957–58), which he sometimes titled Sêco. 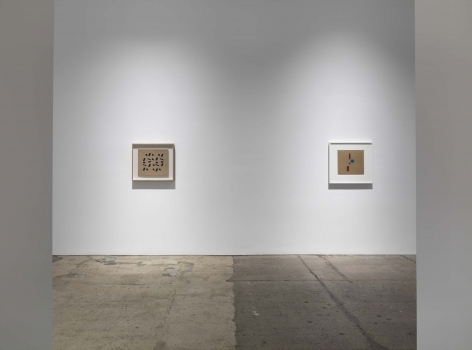 A highlight of the exhibition is two large-format Metaesquemas from 1958 that have never before been exhibited in the United States; although Oiticica was well known for this body of work, there are few that he created in this larger size. In these compositions, which were always horizontal, jostling forms arranged in a grid appear to quiver and warp. 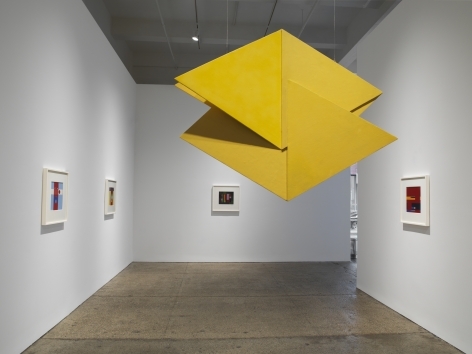 Finally, a yellow Relevo Espacial (Spatial Relief) (1959) demonstrates how Oiticica liberated color into the participatory realm. 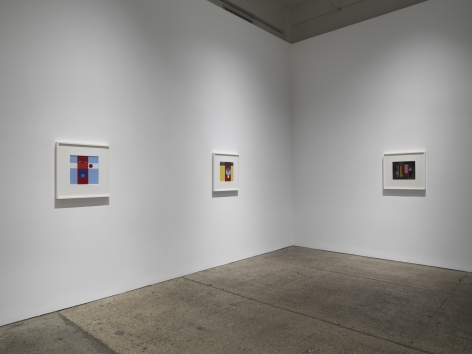 His hanging wood constructions echo the sentiments of his earlier work, where flat planes of vibrant color shift according to the viewer’s position in order to encourage an active looking process. Oiticica became fundamental to the formation of the groundbreaking Neo-Concrete Movement (1959–61), which sought to impart the extreme rationalism of Concretism with emotion, sensuality, and subjectivity. 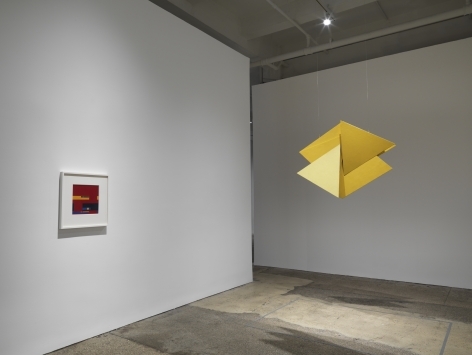 In 1960, Oiticica, wrote, “The experience of color, the exclusive element of painting, became for me the very axis of what I do, the way I begin a work. 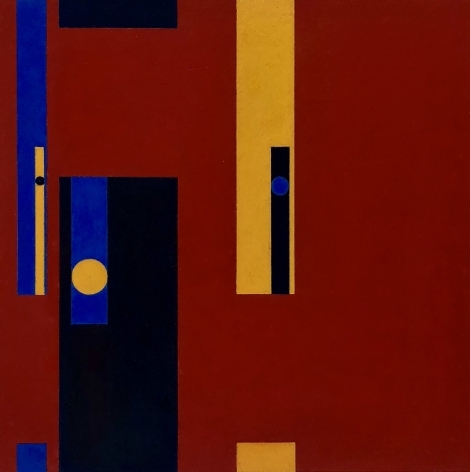 Only now does the complexity of the relationship between color and structure truly begin.” His subsequent bodies of work in the 1960s and 70s would fully activate three-dimensional space, with immersive installations such as Núcleos (Nuclei) (1960–66) and multisensorial environments such as Tropicália (1967) and Penetrável Filtro (Filter Penetrable) (1972). 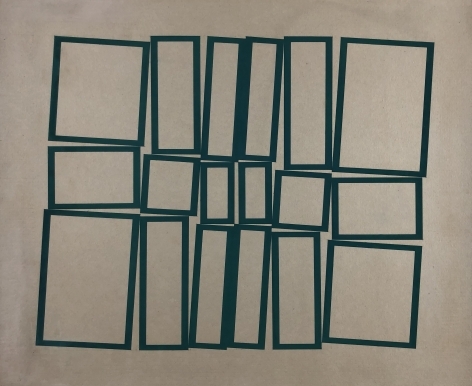 Oiticica’s work and influence have received increasing recognition since his death in 1980, most recently by the landmark retrospective To Organize Delirium, which debuted at the Carnegie Museum of Art, Pennsylvania, in 2016, and travelled to the Art Institute of Chicago, Illinois, and the Whitney Museum of American Art, New York, through 2017. 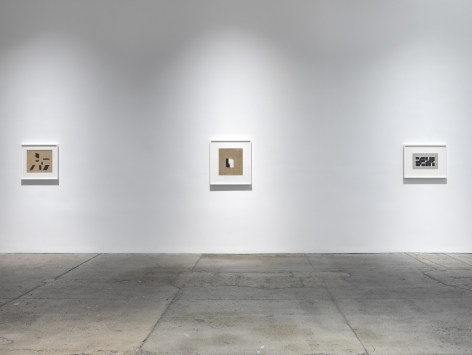 His work is currently on view in Memories of Underdevelopment, Museum of Art of Lima, Peru; Southern Geometries, from Mexico to Patagonia, Fondation Cartier pour l’art contemporain, France; Room 2 Installation, Glenstone Museum, Maryland; and Performer and Participant, Tate Modern, England. Oiticica is represented in institutions around the world including the Carnegie Museum of Art, Pennsylvania; Museum of Modern Art, New York; Glenstone Foundation, Maryland; Walker Art Center, Minnesota; Museo de Arte Latinoamericano de Buenos Aires, Argentina; Inhotim Centro de Arte Contemporânea, Brazil; Museu de Arte Moderna do Rio de Janeiro, Brazil; Museu de Arte Moderna de São Paulo, Brazil; Museum of Fine Arts, Houston; and Centro Nacional Museo de Arte Reina Sofía, Spain. Hélio Oiticica was born in Rio de Janeiro, Brazil, in 1937, and died in 1980. The Estate of Hélio Oiticica is managed by the Projeto Hélio Oiticica in Rio de Janeiro.